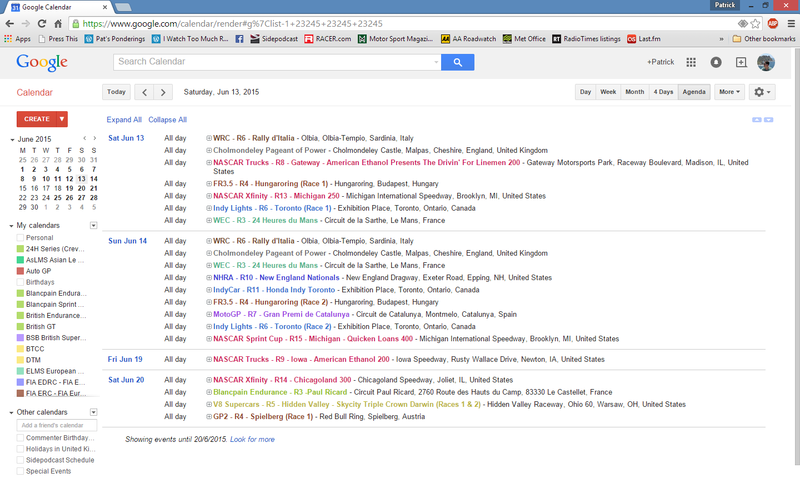 Just click the link for the race schedule you want to import and it will appear in your calendar. The 2015 calendars are now ready! Apologies for the delay. I wanted to have the full set released before the 24 Hours of Daytona but time got away from me a little. If I’ve made any errors or failed to spot any changes do please let me know! June 2015 IWTM Calendar with 14th selected. At the time of writing, the Super Formula and Asian Le Mans Series dates are yet to be released though I expect the latter to come on Thursday when the ACO hold their Le Mans and WEC press conference. They’re back! IWTMR’s Motorsport Calendars have returned for a 3rd season. Compatible with Google Calendar, iOS (Apple devices), MS Outlook and many other applications, the IWTMR Motorsport Calendars are perfect if, like me, you watch too much racing! Series include Formula 1, MotoGP, IndyCar, all three major NASCAR series, FIA World Endurance, ALMS, ELMS, Asian LMS, FIA World Rally, DTM, V8 Supercar, World and British Touring Car, World and British Superbikes, and several more. Each series has its own individual calendar so you can pick and choose the championship you want to follow. 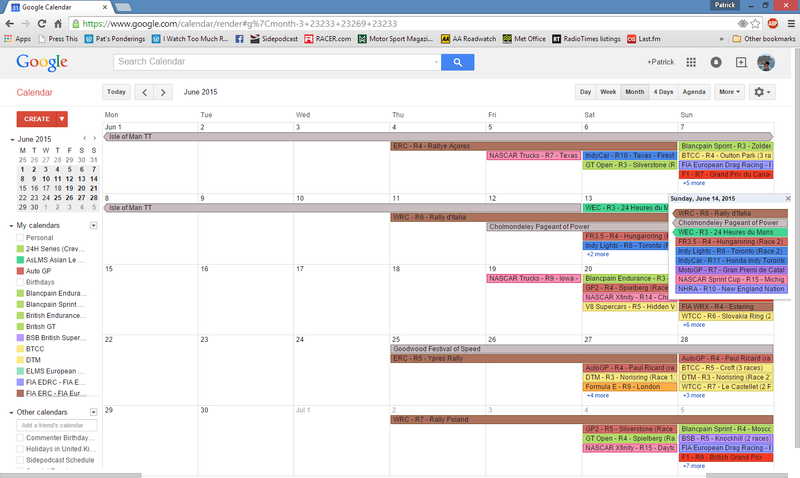 For all the details head to the Calendar page in the navigation bar or just click here!